The name says it all: the GIGANT series was specially developed for cleaning and degreasing large, voluminous and/or heavy goods. 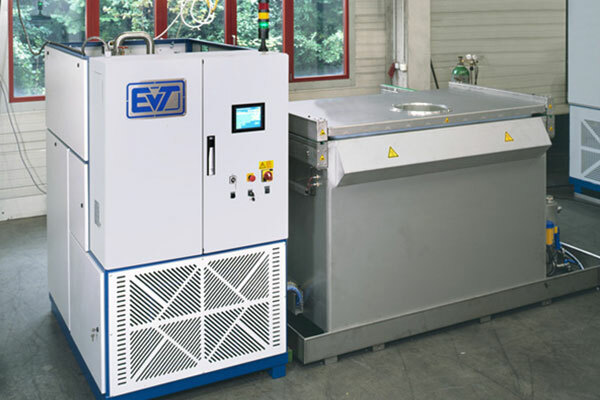 Across Europe, GIGANT plants from EVT are in use at a large number of renowned companies in a wide range of industries. 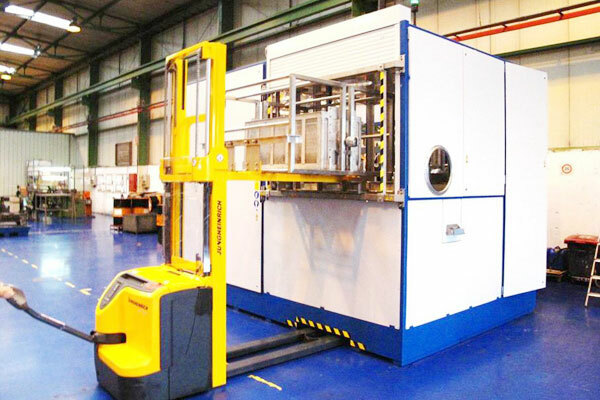 Their gigantic working chambers and full functionality provide a good idea of what they are capable of – and explain why world market leaders in the aviation and metallurgical industries and in many other sectors rely on us. The right GIGANT with the right additional features is available for virtually any cleaning job, no matter what is involved in terms of weight and volume. An easily reprogrammable stored-program controller lets you precisely adjust the plant to different applications and take advantage of a wide range of cleaning and degreasing processes. High plant uptime is ensured by our online remote maintenance and diagnostics service, which we developed in collaboration with SIEMENS. From an iPhone or iPad, we can query data and change settings anywhere in the world to quickly and efficiently resolve both apparent and real malfunctions and problems. This ability to remotely access and service your plant, together with complete turnkey manufacture of plants in compliance with our own rigorous standards of quality at our factory in Sternenfels, Germany, enables us to offer a three-year warranty on every EVT plant supplied!